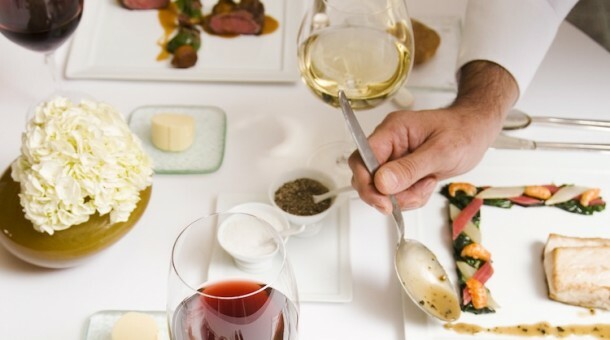 From exclusive VIP tables inside a restaurant’s kitchen to chef’s counters that enable you to watch your favorite cooks in action, here are some special prix-fixe ways to elevate your dining experience. Sitting at the counter at this impossible-to-get-into spot is like being on a TV show, thanks to Ludovic Lefebvre, uberpopular chef and co-host of ABC’s The Taste. Ludo and his chefs work right in front of you, creating beautifully layered dishes and explaining each ingredient and detail of the prix fixe-only menu ($75 per person). The best way to nab a spot at the chef’s counter: Dine as a pair or solo, and have your fingers ready every other Friday when tickets go on sale (they sell out immediately) for the next two weeks. 716 N. Highland Ave., L.A.